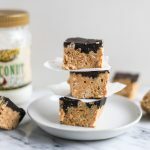 Simple, easy, and oh-so-tasty, these chocolate peanut butter crisp bars have only 7 ingredients in them and they’re no-bake–you can’t get any easier! 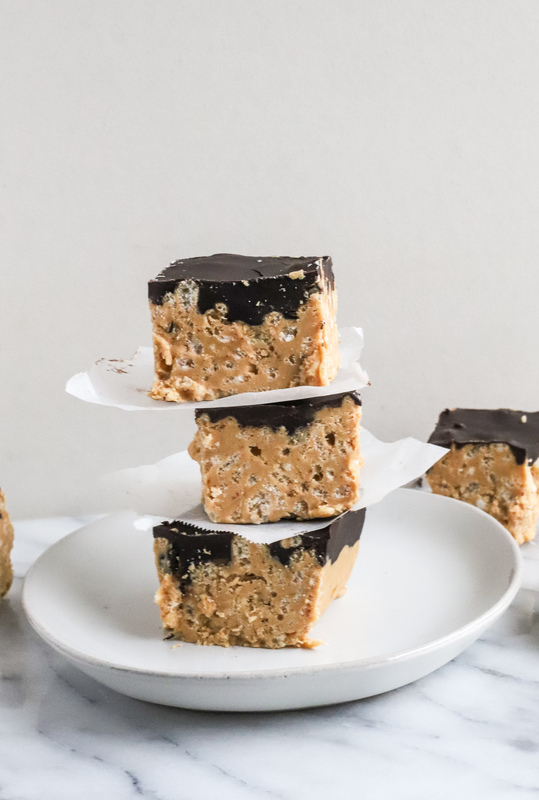 Plus, who doesn’t love the classic combination of chocolate and peanut butter?? It’s just what your Friday needs. 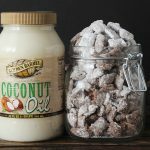 I created this recipe by combining several I found online. I knew I wanted a crunch to them, hence the rice cereal. And I wanted easy so they’re in bar form. You really can’t mess these bars up. There’s no baking involved; you simply stir the ingredients together and pour melted chocolate over the whole thing. Easy peasy. Mitch’s favorite desserts involve chocolate and peanut butter. So I knew he’d be a fan. My boys love these too. 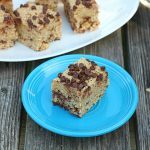 They’re an easy after-school snack that they’ve been enjoying all week. 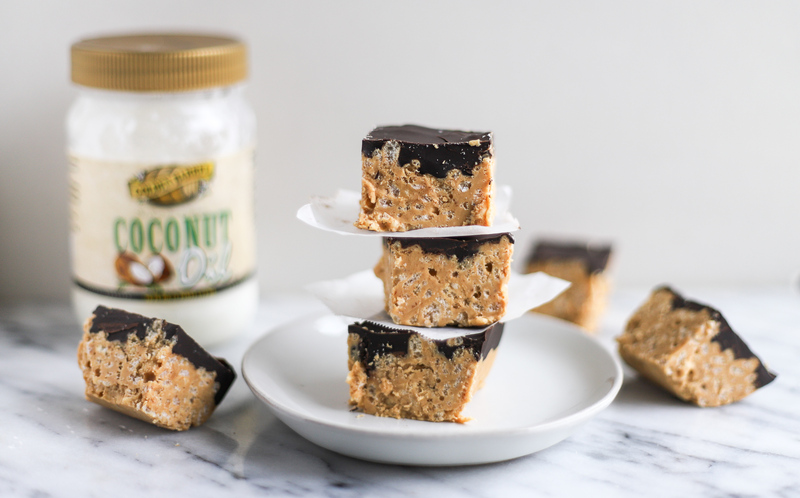 A little goes a long way with these treats, so cut them small. They’re rich and filling. Just stick the bars in the fridge for an hour or so for the chocolate to harden, then cut into squares and enjoy! I keep mine in the fridge so the chocolate stays hardened. So get to making (I can’t even call it baking, since it isn’t!) 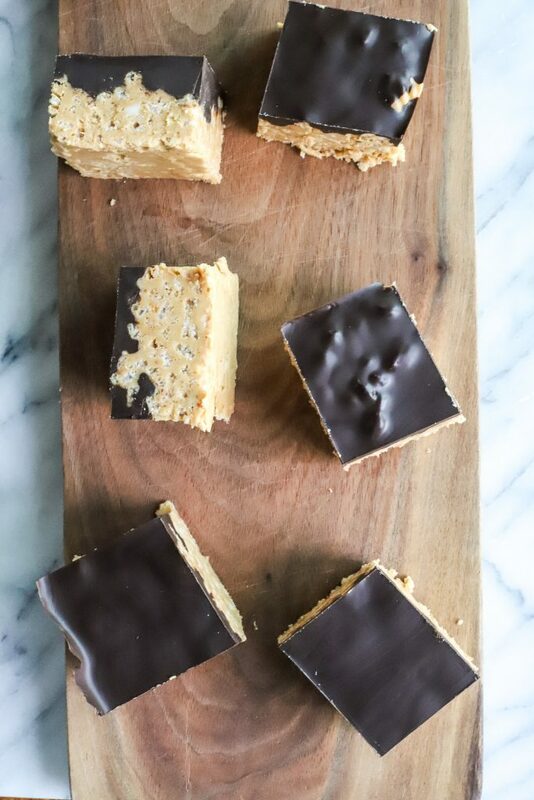 these Chocolate Peanut Butter Crisp Bars this weekend! They’re sure to be a sweet success. 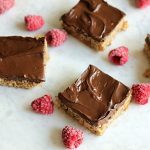 Simple, easy, and oh-so-tasty, these chocolate peanut butter crisp bars have only 7 ingredients in them and they're no-bake--you can't get any easier! 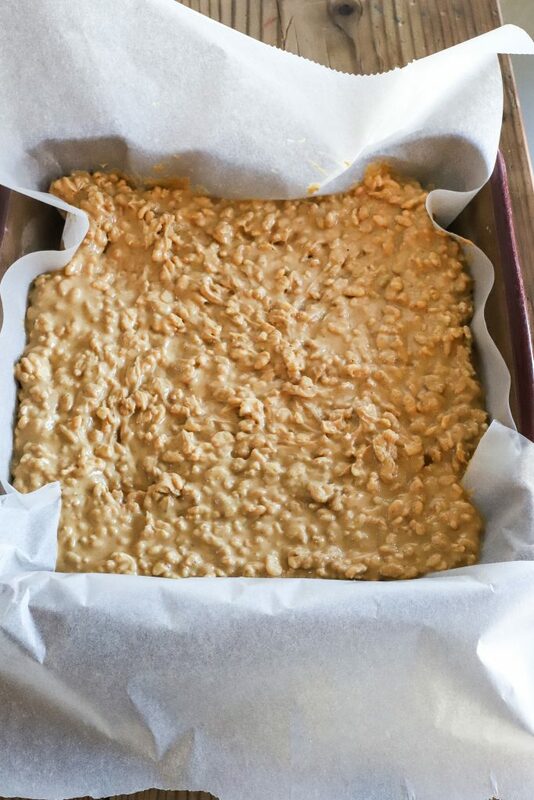 For thicker bars: prepare an 8x8" pan by lining it with parchment paper. For thinner bars: prepare a 9x13" pan. Set aside. Make brown butter: in a medium-sized saucepan, melt butter over medium hear, stirring occasionally. Keep stirring until brown bits appear and butter smells nutty, several minutes. Add peanut butter to pan and cook until melted and combined with the butter. Remove pan from heat and add in vanilla extract and confectioners' sugar. Stir until smooth. Add in cereal and stir until evenly coated. Spread in parchment-lined pan and smooth out evenly. In a double boiler or stainless bowl over a small pot of water (or in microwave), melt chocolate and coconut oil until smooth. 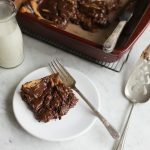 Pour chocolate over peanut butter bars in pan. 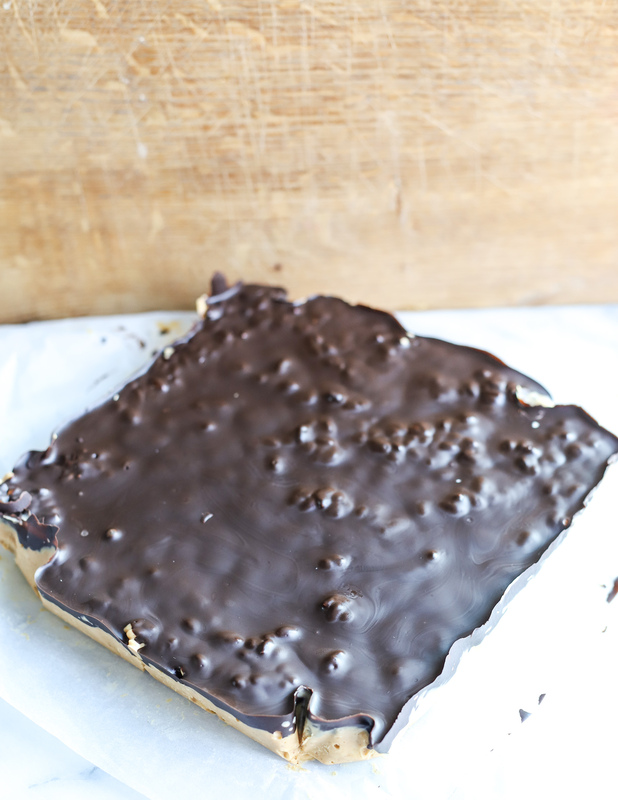 Let set in the fridge for an hour or until chocolate is hardened. Store in fridge.